Let’s forget about state of the art online slots for a few minutes and take a brief but entertaining trip back to when every machine had three reels and none was complete without a selection of appalling sound effects. Today we are talking about Lucky 8 Line, a throwback to those days when we never asked for – or received – much in the way of extras. Read on to find out more. Lucky 8 Line is a three reel slot with eight paylines; it’s designed by Net Entertainment and the aim is to make it all look as though you are actually in a bricks and mortar casino. 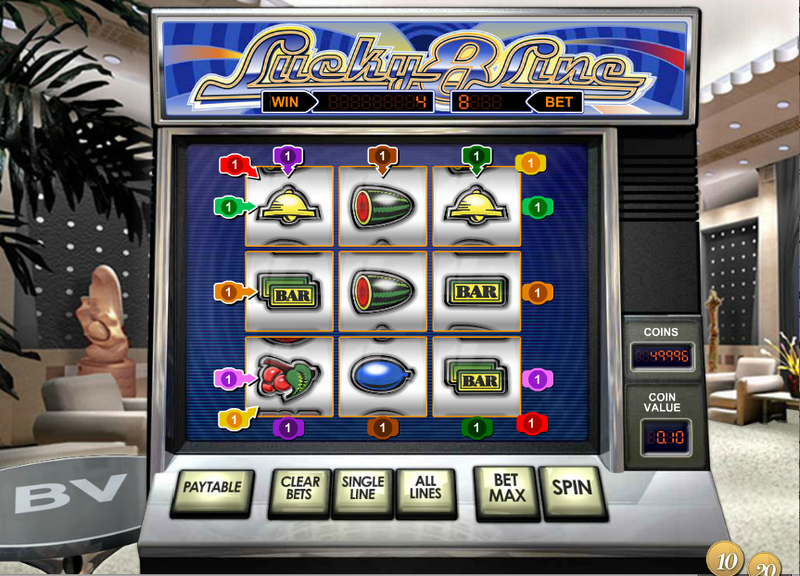 The machine itself looks just like a casino slot and the background comprises the sort of furniture that one associates with the lobby of a large casino. All the symbols are of the traditional variety and include cherries, single, double and triple bars, oranges, plums, bells, watermelons and of course sevens. The eight paylines means of course that there is a little more to this slot than meets the eye; those paylines are not just horizontal, they are vertical and diagonal too from left to right and top to bottom. The vertical winning line runs from bottom left to top right. The first thing to do is select the size of your stake; you can use the big ’10’ and ’20’ coins in the bottom right hand corner to increase or decrease the coin size. Then decide how many lines you want to play by clicking the ‘Single Line’ button or use the ‘All Lines’ button to select them all. Now just click spin and away you go. There are a couple of extra prizes available and these relate to what you can win if all the symbols on the reels are matching. The lowest prize is 50x your stake for nine single bars all the way up to 1000x for nine sevens. 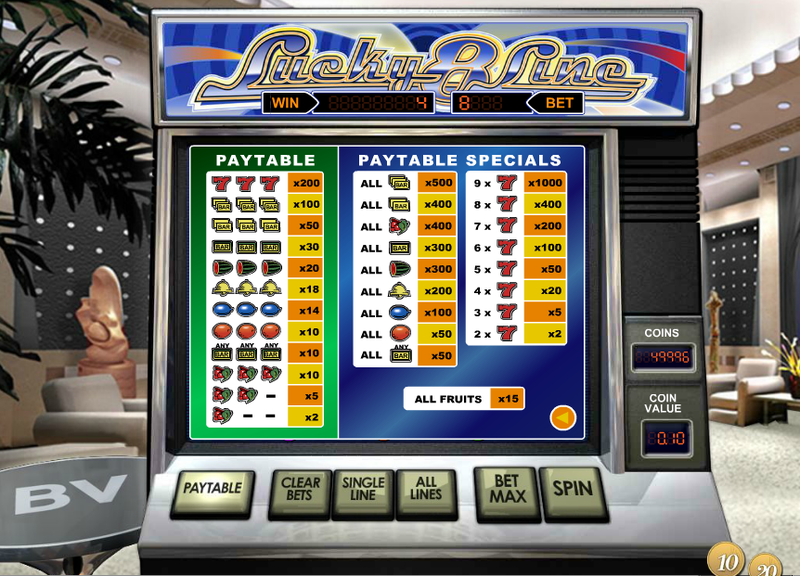 Lucky 8 Line is similar in design to Net Ent slots such as Crazy Sports – the symbols have changed by the design remains the same. Still, it’s good fun and you can play it while reminiscing about what it used to be like in the old days.